As the number of megastudies is growing, it becomes difficult to keep track of everything that is out there. For a paper I decided to make a table and then realized that it would be great to have the information on a website with links to the articles and the datasets. You find the outcome here. The list contains all the megastudies and eye movement corpora that I am aware of. Originally I wanted to work with a cut-off criterion of minimally 1,000 words (as the lower limit of the definition of mega), but it rapidly became clear that this excluded several interesting datasets. So, for the sake of completeness I dropped the criterion, although it still feels odd to me that you can have a megastudy with less than 1,000 stimuli. Enjoy! And please contact me if you know of more datasets. Adelman, J. S., Marquis, S. J., Sabatos-DeVito, M. G., & Estes, Z. (2013). The unexplained nature of reading. Journal of Experimental Psychology: Learning, Memory, and Cognition, 39(4), 1037-1053. Aguasvivas, J., Carreiras, M., Brysbaert, M., Mandera, P., Keuleers, E., & Duñabeitia, J. A. (2018). SPALEX: A Spanish lexical decision database from a massive online data collection. Frontiers in Psychology, 9, 2156. doi: 10.3389/fpsyg.2018.02156. Balota, D. A., Cortese, M. J., Sergent-Marshall, S. D., Spieler, D. H., & Yap, M. J. (2004). Visual word recognition of single-syllable words. Journal of Experimental Psychology: General, 133(2), 283-316. Balota, D. A. & Spieler, D. H. (1998). 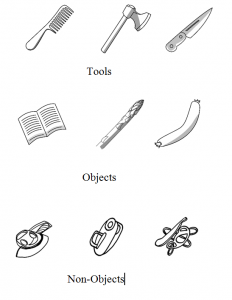 The utility of item level analyses in model evaluation: A reply to Seidenberg & Plaut (1998). Psychological Science, 9(3), 238-240. Balota, D. A., Yap, M. J., Hutchison, K. A., & Cortese, M. J. (2013). Megastudies: What do millions (or so) of trials tell us about lexical processing? In J. S. Adelman (Ed. ), Visual Word Recognition Volume 1: Models and methods, orthography and phonology (pp. 90-115). New York, NY: Psychology Press. Balota, D. A., Yap, M. J., Hutchison, K. A., Cortese, M. J., Kessler, B., Loftis, B., … & Treiman, R. (2007). 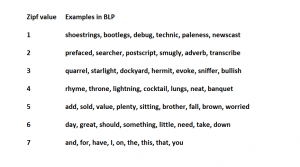 The English lexicon project. Behavior Research Methods, 39(3), 445-459. Brysbaert, M., Stevens, M., Mandera, P., & Keuleers, E. (2016). The impact of word prevalence on lexical decision times: Evidence from the Dutch Lexicon Project 2. Journal of Experimental Psychology: Human Perception and Performance, 42, 441-458. Chang, Y. N., Hsu, C. H., Tsai, J. L., Chen, C. L., & Lee, C. Y. (2016). A psycholinguistic database for traditional Chinese character naming. Behavior Research Methods, 48(1), 112-122. Cohen-Shikora, E. R., Balota, D. A., Kapuria, A., & Yap, M. J. (2013). The past tense inflection project (PTIP): Speeded past tense inflections, imageability ratings, and past tense consistency measures for 2,200 verbs. Behavior research methods, 45(1), 151-159. Cop, U., Dirix, N., Drieghe, D., & Duyck, W. (2017). Presenting GECO: An eyetracking corpus of monolingual and bilingual sentence reading. Behavior Research Methods, 49(2), 602-615. Cortese, M.J., Khanna, M.M., & Hacker, S. (2010) Recognition memory for 2,578 monosyllabic words. Memory, 18, 595-609. DOI: 10.1080/09658211.2010.493892. Cortese, M.J., Khanna, M.M., Kopp, R., Santo, J.B, Preston, K.S., & Van Zuiden, T. (2017). Participants shift response deadlines based on list difficulty during reading aloud megastudies, Memory & Cognition, 45, 589-599. Cortese, M. J., Yates, M., Schock, J., & Vilks, L. (2018). Examining word processing via a megastudy of conditional reading aloud. Quarterly Journal of Experimental Psychology, 71(11), 2295-2313. Davies, R., Barbón, A., & Cuetos, F. (2013). Lexical and semantic age-of-acquisition effects on word naming in Spanish. Memory & Cognition, 41(2), 297-311. Dufau, S., Grainger, J., Midgley, K. J., & Holcomb, P. J. (2015). A thousand words are worth a picture: Snapshots of printed-word processing in an event-related potential megastudy. Psychological Science, 26(12), 1887-1897. Ernestus, M., & Cutler, A. (2015). BALDEY: A database of auditory lexical decisions. The Quarterly Journal of Experimental Psychology, 68(8), 1469-1488. Ferrand, L., Méot, A., Spinelli, E., New, B., Pallier, C., Bonin, P., … & Grainger, J. (2018). MEGALEX: A megastudy of visual and auditory word recognition. Behavior Research Methods, 50(3), 1285-1307. Ferrand, L., New, B., Brysbaert, M., Keuleers, E., Bonin, P., Meot, A., Augustinova, M., & Pallier, C. (2010). The French Lexicon Project: Lexical decision data for 38,840 French words and 38,840 pseudowords. Behavior Research Methods, 42, 488-496. Frank, S. L., Monsalve, I. F., Thompson, R. L., & Vigliocco, G. (2013). Reading time data for evaluating broad-coverage models of English sentence processing. Behavior Research Methods, 45(4), 1182-1190. Frank, S. L., Otten, L. J., Galli, G., & Vigliocco, G. (2015). The ERP response to the amount of information conveyed by words in sentences. Brain and language, 140, 1-11. Futrell, R., Gibson, E., Tily, H. J., Blank, I., Vishnevetsky, A., Piantadosi, S. T., & Fedorenko, E. (2018) The Natural Stories Corpus. In Proceedings of LREC 2018, Eleventh International Conference on Language Resources and Evaluation (pp. 76—82). Miyazaki, Japan. González-Nosti, M., Barbón, A., Rodríguez-Ferreiro, J., & Cuetos, F. (2014). Effects of the psycholinguistic variables on the lexical decision task in Spanish: A study with 2,765 words. Behavior Research Methods, 46(2), 517-525. Heyman, T., Van Akeren, L., Hutchison, K. A., & Storms, G. (2016). Filling the gaps: A speeded word fragment completion megastudy. Behavior Research Methods, 48(4), 1508-1527. Husain, S., Vasishth, S., and Srinivasan, N. (2014). Integration and prediction difficulty in Hindi sentence comprehension: Evidence from an eye-tracking corpus. Journal of Eye Movement Research, 8(2), 1-12. Hutchison, K. A., Balota, D. A., Neely, J. H., Cortese, M. J., Cohen-Shikora, E. R., Tse, C. S., … & Buchanan, E. (2013). The semantic priming project. Behavior Research Methods, 45(4), 1099-1114. Kessler, B., Treiman, R., & Mullennix, J. (2002). Phonetic biases in voice key response time measurements. Journal of Memory and Language, 47, 145-171. Keuleers, E & Balota, D.A. (2015) Megastudies, crowd-sourcing, and large datasets in psycholinguistics: An overview of recent developments, The Quarterly Journal of Experimental Psychology. 68, (8) 1457-1468. Keuleers, E., Diependaele, K. & Brysbaert, M. (2010). Practice effects in large-scale visual word recognition studies: A lexical decision study on 14,000 Dutch mono- and disyllabic words and nonwords. Frontiers in Psychology 1:174. doi: 10.3389/fpsyg.2010.00174. Keuleers, E., Lacey, P., Rastle, K., & Brysbaert, M. (2012). 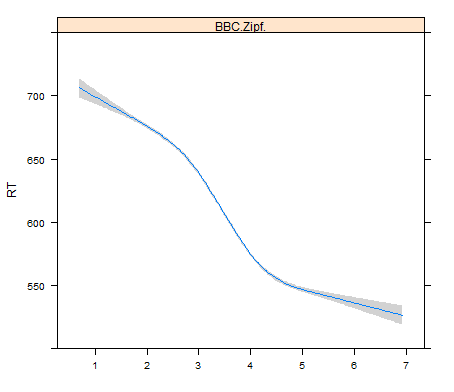 The British Lexicon Project: Lexical decision data for 28,730 monosyllabic and disyllabic English words. Behavior Research Methods, 44, 287-304. Laurinavichyute, A. K., Sekerina, I. A., Alexeeva, S., Bagdasaryan, K., & Kliegl, R. (2019). Russian Sentence Corpus: Benchmark measures of eye movements in reading in Russian. Behavior Research Methods. Lee, C. Y., Hsu, C. H., Chang, Y. N., Chen, W. F., & Chao, P. C. (2015). The feedback consistency effect in Chinese character recognition: Evidence from a psycholinguistic norm. 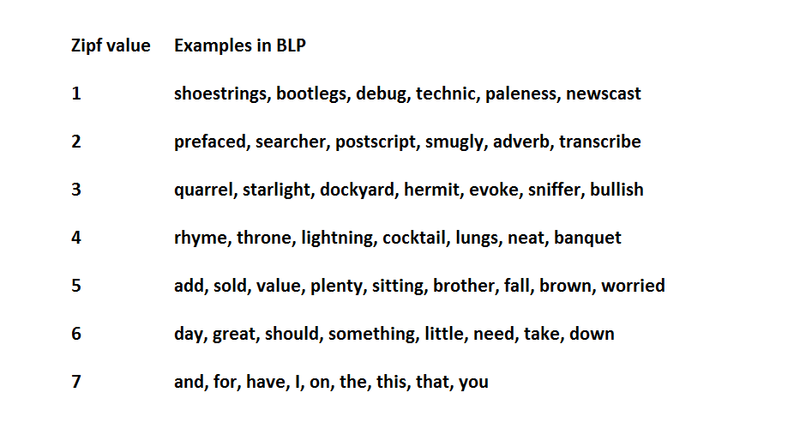 Language and Linguistics, 16(4), 535-554. Lemhöfer, K., Dijkstra, T., Schriefers, H., Baayen, R. H., Grainger, J., & Zwitserlood, P. (2008). Native language influences on word recognition in a second language: A megastudy. Journal of Experimental Psychology: Learning, Memory, and Cognition, 34(1), 12-31. Liu, Y., Shu, H., & Li, P. (2007). 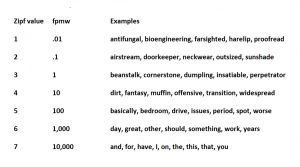 Word naming and psycholinguistic norms: Chinese. Behavior Research Methods, 39(2), 192-198. Luke, S. G., & Christianson, K. (2018). The Provo Corpus: A large eye-tracking corpus with predictability norms. Behavior Research Methods, 50(2), 826-833. Mousikou, P., Sadat, J., Lucas, R., & Rastle, K. (2017). Moving beyond the monosyllable in models of skilled reading: Mega-study of disyllabic nonword reading. Journal of Memory and Language, 93, 169-192. Pexman, P. M., Heard, A., Lloyd, E., & Yap, M. J. (2017). The Calgary semantic decision project: concrete/abstract decision data for 10,000 English words. Behavior Research Methods, 49(2), 407-417. Pritchard, S. C., Coltheart, M., Palethorpe, S., & Castles, A. (2012). Nonword reading: Comparing dual-route cascaded and connectionist dual-process models with human data. Journal of Experimental Psychology: Human Perception and Performance, 38(5), 1268. Pynte, J., & Kennedy, A. (2006). An influence over eye movements in reading exerted from beyond the level of the word: Evidence from reading English and French. Vision Research, 46(22), 3786-3801. Schröter, P., & Schroeder, S. (2017). The Developmental Lexicon Project: A behavioral database to investigate visual word recognition across the lifespan. Behavior Research Methods, 49(6), 2183-2203. Seidenberg, M.S., & Waters, G.S. (1989). Word recognition and naming: A mega study. Bulletin of the Psychonomic Society, 27, 489. Spieler D. H., & Balota, D. A. (1997). Bringing computational models of word naming down to the item level. Psychological Science, 8(6), 411-416. Sze, W. P., Liow, S. J. R., & Yap, M. J. (2014). The Chinese Lexicon Project: A repository of lexical decision behavioral responses for 2,500 Chinese characters. Behavior Research Methods, 46(1), 263-273. Tsang, Y. K., Huang, J., Lui, M., Xue, M., Chan, Y. W. F., Wang, S., & Chen, H. C. (2018). MELD-SCH: A megastudy of lexical decision in simplified Chinese. Behavior Research Methods, 50(5), 1763-1777. Tse, C. S., Yap, M. J., Chan, Y. L., Sze, W. P., Shaoul, C., & Lin, D. (2017). The Chinese Lexicon Project: A megastudy of lexical decision performance for 25,000+ traditional Chinese two-character compound words. Behavior Research Methods, 49(4), 1503-1519. Tucker, B. V., Brenner, D., Danielson, D. K., Kelley, M. C., Nenadić, F., & Sims, M. (2019). The Massive Auditory Lexical Decision (MALD) database. Behavior Research Methods. Winsler, K., Midgley, K. J., Grainger, J., & Holcomb, P. J. (2018). An electrophysiological megastudy of spoken word recognition. Language, Cognition and Neuroscience, 1-20. Yap, M. J., Liow, S. J. R., Jalil, S. B., & Faizal, S. S. B. (2010). The Malay Lexicon Project: A database of lexical statistics for 9,592 words. Behavior Research Methods, 42(4), 992-1003. At long last we found time to make the English word prevalence measures available. You find an Excel file with the word prevalence measure for English here. If you want more information about the use of word prevalence, have a look at our findings in Dutch. We’ve published the outcome of 4 years of study and computer simulations on the power of designs that include more than one observation per condition per participant. Indeed, a problem about the current studies on the replication crisis is that power is always calculated on the assumption that each participant only provides one observation per condition. This is not what happens in experimental psychology, where participants respond to multiple stimuli per condition and where the data are averaged per condition or (preferentially) are analyzed with mixed effects models. In experimental psychology we can do replicable research with 20 participants or less if we have multiple observations per participant per condition, because we can turn rather small differences between conditions into effect sizes of d > .8 by averaging across observations (as indeed known to psychophysicists for almost a century). This is the positive outcome of the analyses. The more sobering finding is that the required number of observations is higher than the numbers currently used (which is why we run underpowered studies). The ballpark figure we propose for RT experiments with repeated measures is 1600 observations per condition (e.g., 40 participants and 40 stimuli per condition). The 1600 observations we propose is when you start a new line of research and don’t know what to expect. The article gives you the tools to optimize your design once you’ve run the first study. Standardized effect sizes in analyses over participants (e.g., Cohen’s d) depend on the number of stimuli that were presented. Hence, you must include the same number of observations per condition if you want to replicate the results. The fact that the effect size depends on the number of stimuli also has implications for meta-analyses. Brysbaert, M. and Stevens, M. (2018). 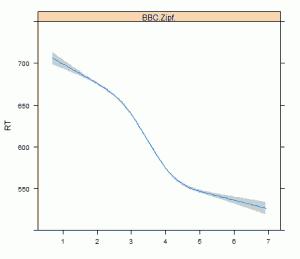 Power Analysis and Effect Size in Mixed Effects Models: A Tutorial. Journal of Cognition, 1: 9, 1–20, DOI: https://doi.org/10.5334/joc.10. Brand et al. (2010) already noticed the relationship between number of stimuli per condition and standardized effect sizes. They additionally point to the importance of the correlation between the observations: The higher the correlation, the less multiple observations will increase the standardized effect size (and arguably the less they will help to make the study more powerful). Richard Morey (2016) also noticed that the standardized effect sizes in F1 analyses depend on the number of observations per condition. Maybe the effect size proposed by Westfall et al. is the preferred measure for future use? Alternatively, in reaction time experiments nothing may be more informative than the raw effect in milliseconds. There was an interesting observation by Jeff Rouder pointing to the increased power of experiments with multiple observations. His rule of thumb (if you run within-subject designs in cognition and perception, you can often get high powered experiments with 20 to 30 people so long as they run about 100 trials per condition) agrees quite well with the norm we put forward (a properly powered reaction time experiment with repeated measures has at least 1,600 word observations per condition). With 2000-3000 observations per condition you have high powered experiment, with 1600 you have a properly powered experiment. Within limits (say a lower limit of 20), in most experiments the numbers of trials and participants can be exchanged, depending on how difficult it is to create items or to find participants. Kolossa & Kopp (2018) report that for model testing in cognitive neuroscience it is more important to obtain extra data per participant than testing more participants. Rouder & Haaf (2018) published an article that nicely complements ours. They make a theoretical analysis of when extra trials improve power. The basic message is that extra participants are always better than extra trials. However, the degree to which this is the case depends on the phenomenon you are investigating. If there is great interindividual variation in the effect and if the variation is theoretically expected, you need many participants rather than many trials (of course). This is true for many experiments in social psychology. In contrast, when the effect is expected to be present in each participant and when trial variability is larger than the variability across participants, you can trade people for trials. These conditions were met for the priming studies we discussed. No participant was expected to show a negative orthographic priming effect (faster lexical decision times after unrelated primes than after related primes), and the variability in the priming effect across participants (and stimuli) was much smaller than the residual error. These conditions are true for many robust effects investigated in cognitive psychology, in particular for those investigated with reaction times. Indeed, many studies in cognitive psychology address the borderline conditions of well-established effects (to make a distinction between alternative explanations). The article does not deal with interactions. A nice blog by Roger Giner-Sorolla (based on work by Uri Simonsohn) indicates that for an extra variable with 2 levels, it is advised to multiply the number of observations by at least 4 if you want to draw meaningful conclusions about the interaction. So, beware of including multiple variables in your study. Is the interaction really needed to test your hypothesis? Power of interactions also features in a recent review paper on power issues by Perugini et al. (2018). Another article warning against being too cheap on the number of trials per condition was published by Boudewyn et al. (2018). If you look at their small effect sizes (remember these are the ones we are after most of the time! ), the recommendation of 40 participants 40 trials seems to hold for EEG research as well. In the Dutch Lexicon Project, we collected lexical decision times for 14K monosyllabic and disyllabic Dutch words. 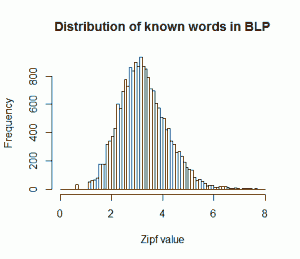 The Dutch Lexicon Project 2 (DLP2) contains lexical decision times for 30K Dutch lemmas. These include almost all words regularly used in Dutch, independent of length. A file with information about the participants who took part in DLP2. A file with the prevalence values used in the ms.
Our vocabulary test keeps on doing well (over 600K tests completed now). 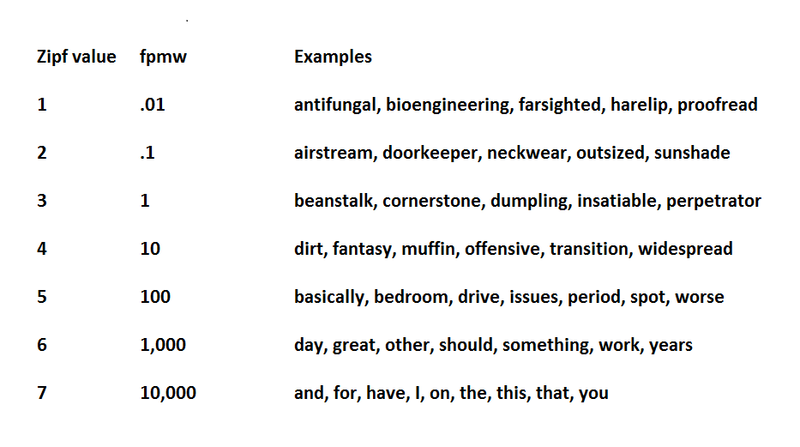 Below is a list of 20 words known in the UK but not in the US, and a list of 20 words known in the US but not in the UK. By known we mean selected by more than 85% of the participants from that country with English as their native language. As you can see, for each word there is a difference of more than 50% between both countries. You can still help us to get more refined data by taking part in our vocabulary test. For instance, we have not enough data yet to say anything about differences with Canada, Australia, or any other country with English as an official language. These 24 words should suffice to find out whether a person you are interacting with in digital space is male or female. Take part in our vocabulary test to make the results even more fine grained! You find the full set of pictures of tools, objects, and nonobjects here or here (svg format). Please refer to the following article when you use the pictures. In this article you also find more information about them. Tussen 16 maart 2013 en 15 december 2013 werd een Groot Nationaal Onderzoek Taal georganiseerd door ons centrum, de Universiteit Gent en de Nederlandse omroepen NTR en VPRO in samenwerking met de NWO. Hier zullen wij in het vervolg naar verwijzen onder de noemer Woordentest 2013. Aan de deelnemers werd gevraagd om een proefje van zo’n 4 minuten af te werken. Elk proefje bestond uit het aanbieden van 100 letterreeksen (één na één), waarbij de deelnemers telkens moesten beslissen of het om een gekend Nederlands woord ging of niet. Om gisgedrag te ontmoedigen, waren een 30-tal letterreeksen nepwoorden en ging de score omlaag als op deze nepwoorden “ja” gezegd werd. De resultaten werden kenbaar gemaakt in Labyrint uitzendingen op Nederland2 (zondag 15 december) en CANVAS (maandag 16 december). Je kunt er ook een boek over kopen. In dit rapport staan de bevindingen beschreven. Dit rapport beschrijft de belangrijkste bevindingen van het Groot Nationaal Onderzoek Taal, georganiseerd tussen 16 maart 2013 en 15 december 2013 door de Universiteit Gent en de Nederlandse omroepen NTR en VPRO in samenwerking met de NWO. Elke test bestond uit het aanbieden van 100 letterreeksen (één na één), waarbij de deelnemer telkens moest beslissen of het om een gekend Nederlands woord ging of niet. Om gisgedrag te ontmoedigen, waren een 30-tal letterreeksen nepwoorden en ging de score omlaag als op deze nepwoorden “ja” gezegd werd. Omdat 735 verschillende lijsten gebruikt werden, kunnen we uitspraken doen over bijna 53.000 Nederlandse woorden. Ruim 600.000 tests werden afgelegd door iets minder dan 400.000 deelnemers (bijna 2% van de Nederlandstalige populatie). Hiervan kwamen 212.000 deelnemers uit Nederland en 180.000 uit België. Vlamingen hebben dus proportioneel gezien meer deelgenomen. Er waren drie types van deelnemers: 76% nam één keer deel, 20% deed de test een paar keer en stopte bij een hogere score. De resterende 4% deed de test minstens 10 keer (met een maximum van 489 keer). Dit waren gewoonlijk mensen die met een hoge score begonnen en dus een grote interesse voor de Nederlandse taal hebben. De meest voorkomende score is 75,5%. Er is echter een duidelijk effect van leeftijd. De woordenschat groeit constant tussen 12 en 80 jaar (de uitersten die we konden testen): 12-jarigen kennen gemiddeld 50% van de woorden, 80-jarigen gemiddeld 80% van de woorden. Dit is een verschil van bijna 16.000 woorden. Er is ook een effect van opleidingsniveau: hoe hoger het behaalde diploma, hoe meer woorden men gemiddeld kent. Er is een verschil van 1,5% tussen Nederland en België in het voordeel van Nederland. Dit verschil komt door de lagere scores in België dan in Nederland bij de deelnemers ouder dan 40 jaar. Deelnemers die naast het Nederlands als moedertaal meerdere talen spreken, kennen een groter aantal Nederlandse woorden. Het effect is cumulatief: wie vier talen spreekt, kent meer Nederlandse woorden dan wie drie talen spreekt, en wie drie talen spreekt, kent meer Nederlandse woorden dan wie twee talen spreekt. Nederlanders en Vlamingen hebben een gedeelde woordenschat van 16.000 woorden (gekend door 97,5% van alle deelnemers). Volgens hetzelfde criterium kennen Vlamingen 2.000 extra woorden en Nederlanders 5.000 extra woorden. Hiervan zijn er 1.250 typisch Zuid-Nederlandse woorden (zoals foor en pagadder) en 1.900 typisch Noord-Nederlandse woorden (kliko, vlaflip en salmiak). Er is dus een grotere gedeelde woordenschat in Nederland dan in België. Sommige woorden worden beter herkend door mannen dan door vrouwen en omgekeerd (bijv. mandekker vs. sleehak). De scheidingslijn qua taal ligt duidelijk op de landsgrens. De Nederlandse en Belgische provincies vormen twee aparte clusters als gekeken wordt naar de overeenkomsten in woordenkennis tussen de provincies. Ze zijn gebaseerd op 370 duizend deelnemers tot eind oktober (terwijl we hopen er 500 duizend te hebben aan het einde van het jaar). Het gaat om eenvoudige gemiddelden. Die houden geen rekening met individuele verschillen in gisgedrag. Om hiervoor te corrigeren, moeten we een Rasch-analyse doen, maar die zal tijd vergen, gezien de omvang van de database. Bij de laatste aanpassing begin december 2013 zijn 3000 nieuwe (langere) woorden toegevoegd. Die maken nog geen deel uit van de lijsten hieronder.